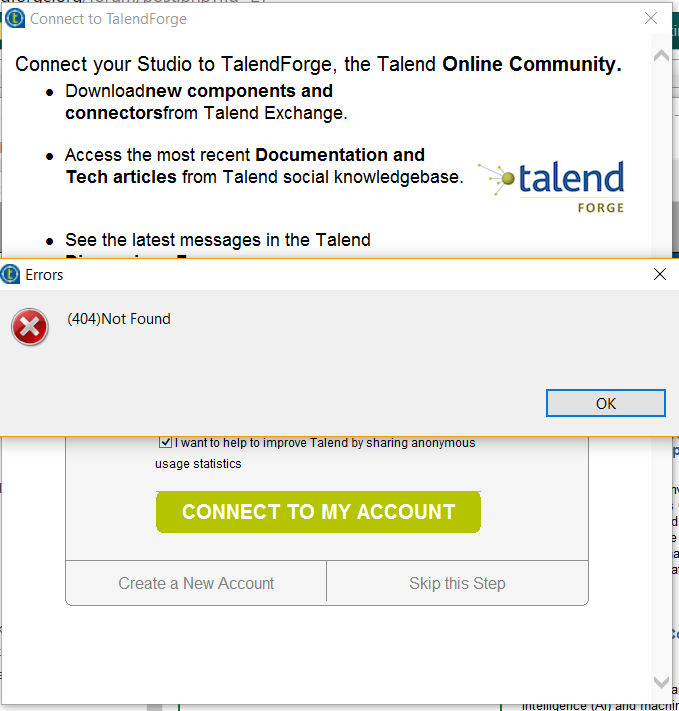 I am relatively new to Talend. I have been using Talend for few weeks and getting to know how it works. Thanks for posting your issue here. We can repro this issue on our side and will make an investigation on it to see if this issue is caused by server. Sorry for the inconvenience. There is something wrong with our server. Our IT team are working on this issue and we will keep you posted.